This 1-owner 2014 Jeep Cherokee Trailhawk arrives on trade in very good condition and loaded with options including Heated Front Seats & Steering Wheel, Blind Spot Detection, Adaptive Cruise Control, Rear Camera, Keyless-Go, Leather Seating, Optional 3.2L V6 Engine and more. 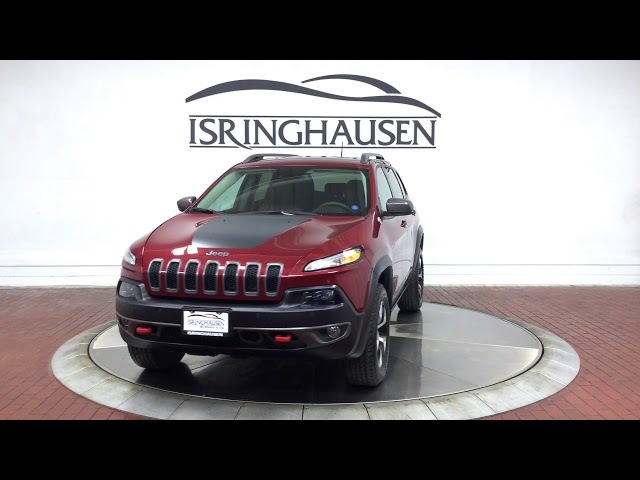 Providing legendary off-road capability with modern technology, this Cherokee gives you everything you are looking for in an SUV at a great value. Contact a Pre-Owned sales specialist today by calling 877-362-9715. Isringhausen Imports is Central Illinois' premier new car, used car and certified pre-owned (CPO) dealership for quality BMW, Porsche, Volvo and Mercedes-Benz vehicles. At Isringhausen Imports, we have become a leader in the industry by working each day towards the greater good of our customers, our fellow employees, and our community.